Los Angeles is the largest city in California and the second-largest urban area in the nation and is a great spot to visit on vacation. Los Angeles is known the world over as the City of Angels, this vibrant, glamorous city is home to some of the world's most famous stars. Visiting LA becomes even more exciting when you go with a large group of people in a Los Angeles van rental. Rent passenger van at LAX Van Rentals and here are some of the attractions you should visit in Los Angeles and LA area after getting a LAX van rental. 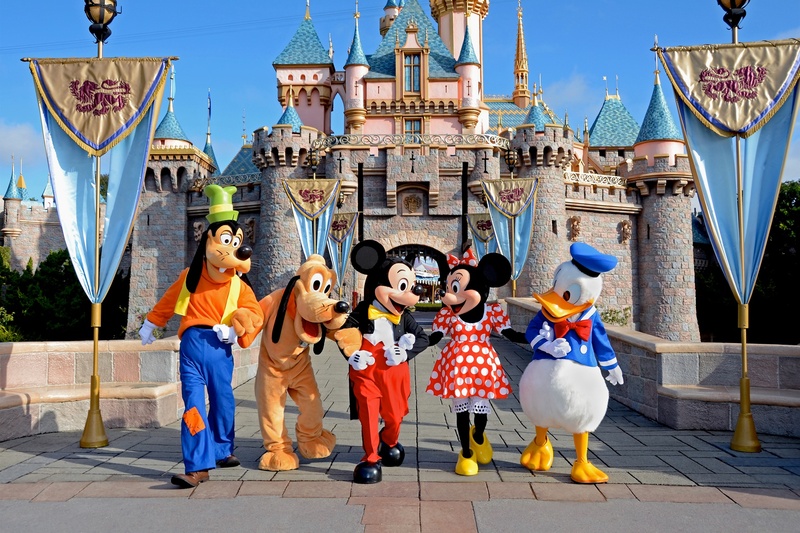 Disneyland is a very fun attraction to visit just 45 minutes south of LA, especially if you are with a large group. The theme park is filled with a lot of fun rides and Disney characters walking around. Disneyland just has such a happy atmosphere that you will instantly be in a good mood once you get there. In addition to rides, there are shows, parades and even fireworks every day in the summer. No trip to Los Angeles would be complete without a trip to the beach. 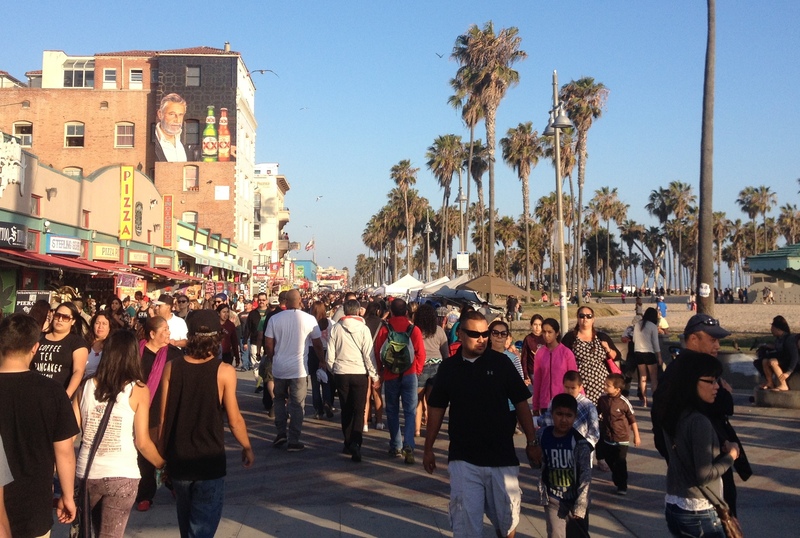 Venice Beach is one of the most popular beaches in Los Angeles and is filled with fun things to do. When you are done relaxing in the sand, take a walk on the boardwalk. You will see a lot of interesting and bizarre things on this boardwalk including artists, fortune tellers and musicians. The Hollywood Wax Museum is definitely one of the more interesting attractions in Los Angeles. It is the longest running wax museum in the country and definitely worth checking out. When you are inside the Hollywood Wax Museum, you will see wax figures of all your favorite celebrities. 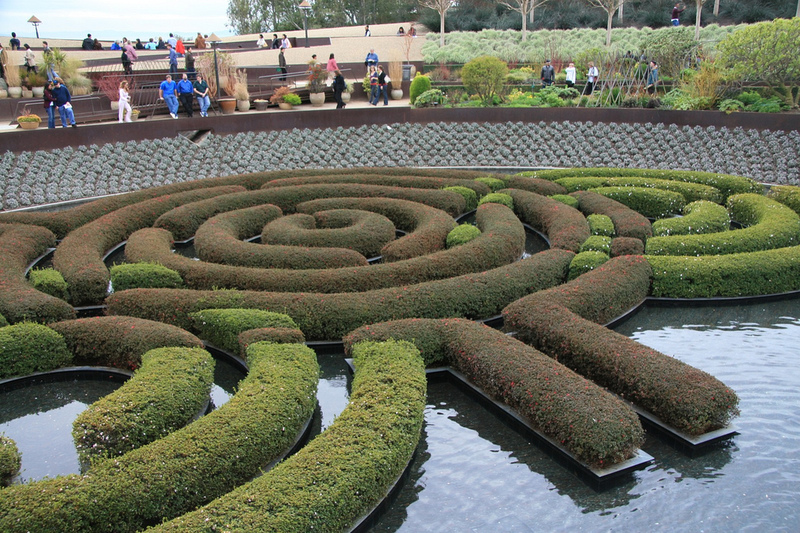 The Getty Center is a campus of the Getty Museum and other programs of the Getty Trust. The center stores a multitude of art, sculpture and photographs from Europe and America. You can also check out old manuscripts and decorative arts here. Its Central Gardens and popular restaurant are sure to leave you breathless with their beauty. 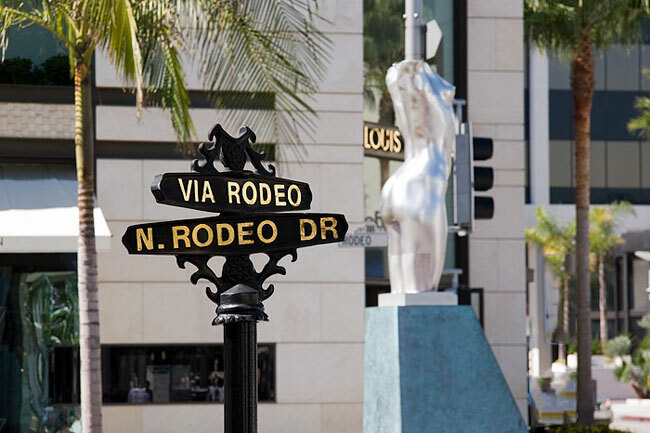 The Los Angeles street known as Rodeo Drive extends for almost two miles through Beverly Hills between West Pico Boulevard and West Sunset Boulevard. However, there is a particular three-block section of it that has gained the attention of the entire world - or at least those who are into high fashion. 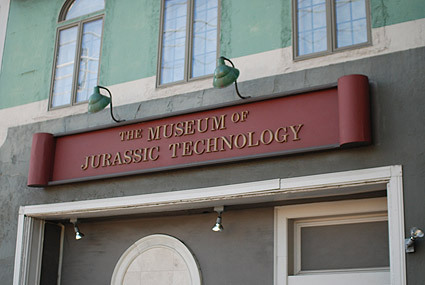 The Jurassic Technology Museum is a witty, self-conscious homage to private museums of yore, such as the 16th-century Ashmolean at Oxford, where objects from science, nature and art were displayed for the “rational amusement” of scholars, and the 19th-century Philadelphia Museum, with its bird skeletons and mastodon bones. 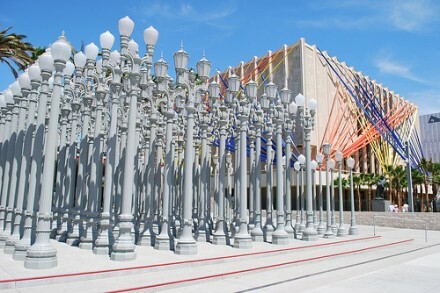 With more than 100,000 works of art, LACMA is the largest art museum in the west. Located halfway between the beach and downtown Los Angeles, LACMA serves more than 1 million visitors a year with its rich art collection, spanning both geography and time. Also enjoy their wide array of public programs, including concerts, films, classes, and children's activities. A unique folk-art masterpiece, this 99-foot-tall group of steel towers is decorated with scrap metal, bed frames, bottles, ceramic tiles, and thousands of seashells. 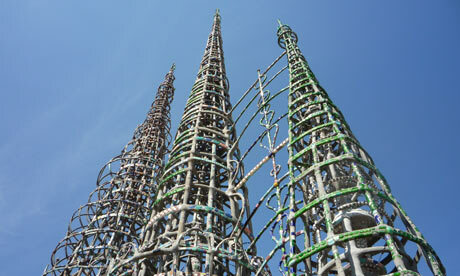 One of LA's famous local landmarks, the towers were created by a construction worker who toiled over them in his spare time for 30 years until their completion in 1954. Universal Studios Inc. (also known as Universal Pictures), is an American motion picture studio, Founded in 1912 by Carl Laemmle, Mark Dintenfass, Charles O. Baumann, Adam Kessel, Pat Powers, William Swanson, David Horsley, and Jules Brulatour,owned by Comcast through its wholly owned subsidiary NBCUniversal, and is one of the six major movie studios. 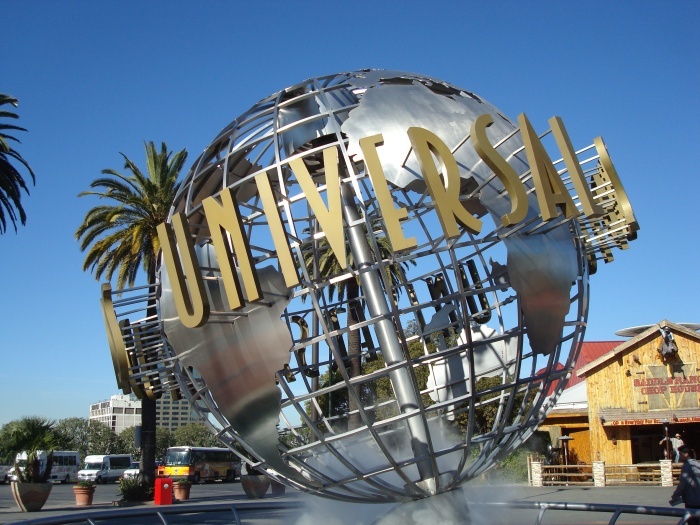 Its production studios are at 100 Universal City Plaza Drive in Universal City, California. Distribution and other corporate offices are in New York City. 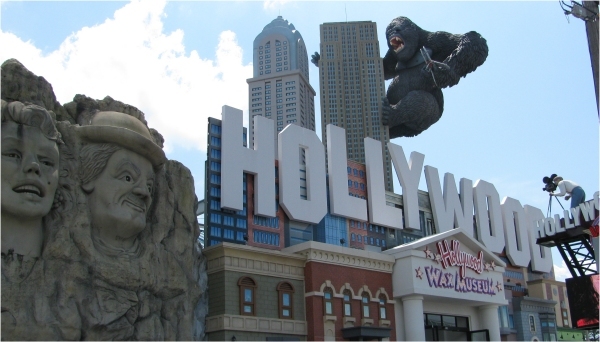 Universal Studios is a member of the Motion Picture Association of America (MPAA). After you get your LAX van rental, make sure to visit all of these fun and exciting attractions in Los Angeles.